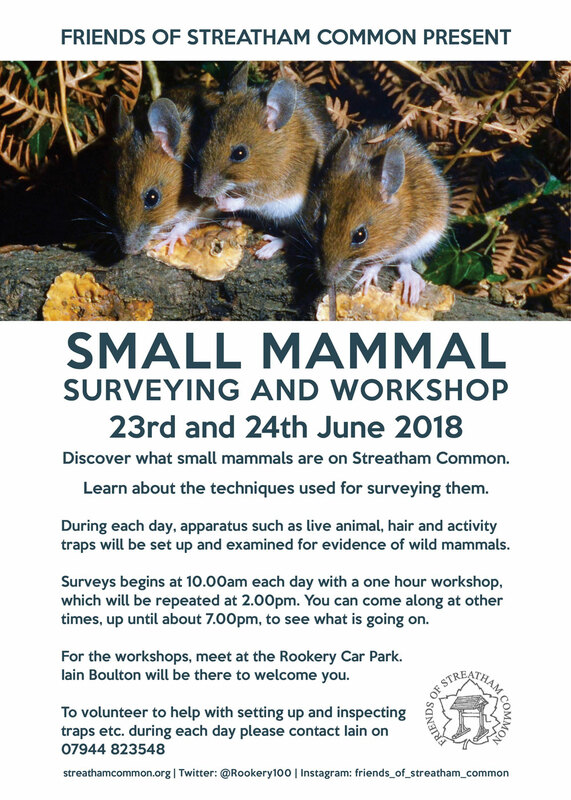 Discover what small mammals are on Streatham Common. Learn about the techniques used for surveying them. During each day, apparatus such as live animal, hair and activity traps will be set up and examined for evidence of wild mammals. 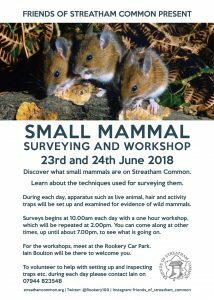 Surveys begins at 10.00am each day with a one hour workshop, which will be repeated at 2.00pm. You can come along at other times, up until about 7.00pm, to see what is going on. For the workshops, meet at the Rookery Car Park. Iain Boulton will be there to welcome you.